Lock in a great price for Ibis Centru Sibiu Hermannstadt – rated 8.3 by recent guests! Very good location. Fair value for the money. Nice breakfast. Very close to the city center, clean rooms and friendly staff. Excellent location, parking limited, staff relatively well trained. Room enough spacious, clean, Ibis type.. Breakfast was reasonable , I could say better than expected for this type of hotel. Restaurant had also reasonable dishes and prices.Overall good value for the money. I recommend for low budget travelers. Location, staff, parking, room, design, bathroom, pets friendly Was great again. 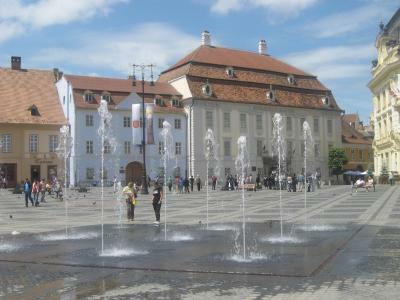 All the time we visited Sibiu we stayed at Ibis. It was a clean hotel with big rooms and a nice restaurant. Parking spots are available for free, but not sometimes all are occupied. It is close to city attractions. The breakfast was ok, you could find things to eat, from main dish to fruits and deserts. Good location near the old city. Good breakfast. Nice view from the windows. The desk.clerks were extremely helpful in resolving a transportation problem I had. Their salaries should be doubled. The property is very well situated, allowing guests to quickly get where they want to, whether it's for business or for pleasure. This is why I went with Ibis when I planned my Sibiu trip. The view is also nice if you get the right room. Ibis Centru Sibiu Hermannstadt This rating is a reflection of how the property compares to the industry standard when it comes to price, facilities and services available. It's based on a self-evaluation by the property. Use this rating to help choose your stay! The Ibis Centru is located on the main boulevard, at 2 minutes' walking distance from the Radu Stanca National Theater. It offers soundproofed and air conditioned rooms with free WiFi internet access. Business guests staying at Ibis can also book one of the seven meeting rooms for conferences, workshops or other meetings. Laundry services are offered at an extra cost. 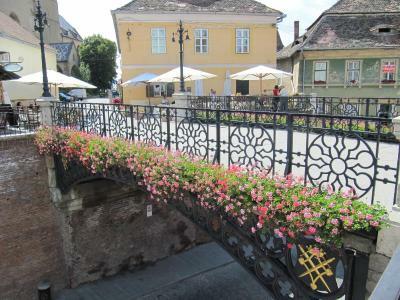 The hotel is a 5-minute walk from the National Brukenthal Museum and Piata Mare. The airport is a 10-minute drive away. 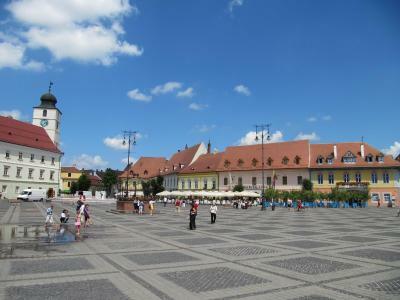 Close to the Ibis Centru Sibiu Hermannstadt there is a sports hall and a zoo. Discounted theater tickets are available at the reception. When would you like to stay at Ibis Centru Sibiu Hermannstadt? Room featuring air conditioning, a TV and a desk. It provides panoramic views of the city. Room featuring air conditioning, a TV and a desk. It provides views of the Carpathian Mountains. Featuring air conditioning, cable TV, and a refrigerator, the suite consists of a bedroom and a living room with a sofa. House Rules Ibis Centru Sibiu Hermannstadt takes special requests – add in the next step! Ibis Centru Sibiu Hermannstadt accepts these cards and reserves the right to temporarily hold an amount prior to arrival. Good location a walk away from the city centre. Has a free parking lot. Breakfast was good and a combination of local food and continental breakfast. It was too hot inside the room. AC was deactivated, only heating was working even though it was in March. Expensive parking, no working fridge, air extraction in the bathroom not working - i told the reception they promised they will fix it. We couldn't adjust the temperature in our room - the built-in ventilation system could only be turned on/off and was preset to heat. The bathroom could have been cleaner. We could have used an extra bin in the room, besides the small ones in the bathrooms. We stayed in a junior suite, which was more spacious than we imagined or could tell from the pictures. Breakfast was more than satisfactory for a 3* hotel. There were two bathrooms in the room, which probably comes in very handy if you're traveling with older kids. The view from the 10th floor was great. Reception staff very nice and friendly. Some things looked old, like they needed replacement. The free parking spaces were non existent as all were occupied. The location was ok, the breakfast was good and the room clean. There were no indications about using the lock. I would expect to find them written somewere. The view was very nice at the 8th floor, the room was clean and confortable. The parking place is listed among the facilities, but when we arrived there we had the surprise that no parking is available due to limited parking places. The guy from the reception was pretty rude when I told him that I am not receiving the facilities I am paying for.